Improving your home can certainly add value to your house — but only if you pick the right project. Some upgrades will be well worth the investment, while others will be a total loss. Here are eight projects, big and small, that retain their value the best according to a recent Cost vs. Value survey. Replacing your front door with a steel door adds a layer of security to the house and retains 91 percent of the cost invested. Price tag: about $1,400. Installing a new garage door may seem frivolous, but the cost (around $3,500) is offset by the value retained, 98 percent. At about $8,200, replacing old siding with a partial stone veneer may be a little higher cost-wise. But it has shown to be a winner, retaining 97 percent of the value invested. 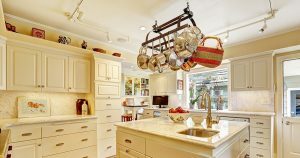 A minor kitchen remodel — think new paint, replacing cabinetry hardware and lighting — might be expensive (up to $21,100), but it retains 81 percent of its value. A minor bathroom remodel is in the same range as a minor kitchen remodel, retaining 70 percent of the $19,000 invested. Replacing old windows with vinyl, energy-efficient windows retains 74 percent of the close to $16,000 investment. Bonus: You’ll likely see lower energy bills. Replacing all of the siding on your home (roughly $15,000) not only improves curb appeal, but it’s also a great return on investment. You retain around 77 percent of the value when you sell your home. In general, projects that are larger in scope will retain the least value. Before you start any home improvement project, make sure to do your research — especially if you plan to sell your house anytime soon. Last year’s hot design trends are this year’s renovation no-nos. What’s trending in kitchen and bath renovations? All-white bathrooms and subway tiles are out, color and character are in. Read on for six more design trends for 2018. Countertops — Quartz is the new granite. And why not? Quartz is cheaper, less porous and more durable than granite. Quartz also gives a cleaner, less busy look to your counters. Fixtures — Although stainless is still timeless, designers are choosing brass to add character and color to kitchens and bathrooms. Brass is constantly moving between trendy and outdated, but for now, it’s back. Colors — For bathrooms, blue is the warmest color. Seen as timeless and soothing, adding a dark navy or serene cerulean feature to a bathroom is a big trend in 2018. Blue tiles, blue walls, blue accents — they’re all in. Tile — Subway tiles are classic but overdone. What’s hot? Anything to add a little color, texture or pattern to your bathroom or kitchen. Think hexagonal, zellige or even terracotta tiles to give your space some character. Sinks — Stone is the hot trend in sinks. 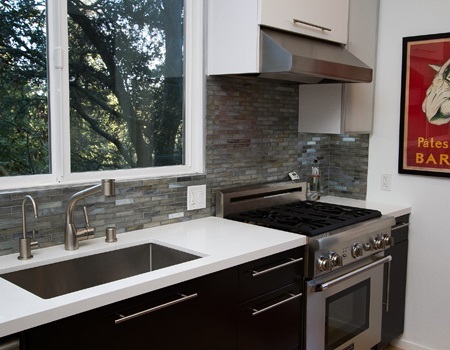 Any natural stone, from marble to quartz, adds a clean, sophisticated look to your kitchen. Although porcelain is cheaper, a hand-carved stone sink screams style. Cabinets — Just as all-white bathrooms are on the outs, all-white kitchens have seen their day. One way to add interest and color to your kitchen is two-toned cabinets. How? Different materials, colors or stains — anything to add contrast is the bold new way of renovating your kitchen. “Going green” may be a common buzz phrase, but a growing number of designers and homeowners are seeing the benefits of sustainable design. Whether you are looking to have a smaller environmental footprint or you just want to save money on utility bills, going green is easier than ever. Eco-minded builders are using old and new techniques to make homes more energy efficient and environmentally sound. Designing smaller homes is one way to use less material and energy, and simply facing your home any direction but west may lower your utility bills. From raw building materials to finishes, there are green options for every aspect of a home these days. For example, the Forest Stewardship Council certification ensures wood is harvested responsibly. Homeowners can choose from recycled or wool carpet or bamboo or cork flooring. Recycled materials can also be used outside. 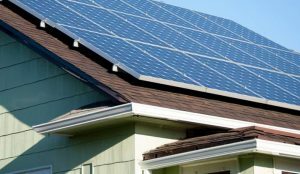 Solar tiles, recycled shingles or even a living roof can lower bills and reduce your carbon footprint. You can use recycled rubber mulch or composite decking made from wood waste that would otherwise end up in a landfill. Once your home is built, fill it with Energy Star-rated appliances for maximum efficiency in the kitchen and laundry room. Many designers are using recycled materials for furniture, cabinetry and accessories to incorporate sustainable design in every room of the home, from the floors to the ceilings. 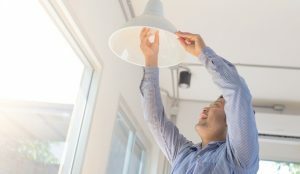 “Going green” may be a trendy topic, but using green building techniques can save you money, lower your ecological footprint and create a beautiful home at the same time. Safes hidden cleverly behind wall art and bookshelves concealing private rooms aren’t just for the movies. With a little imagination and proper design, you can have a secret space of your own. Consider the options below for storing valuables, hiding a private chamber or simply adding intrigue to your home. Install an Inconspicuous Wall Safe — Installing a wall safe is probably the easiest way to add a secret nook to your home. 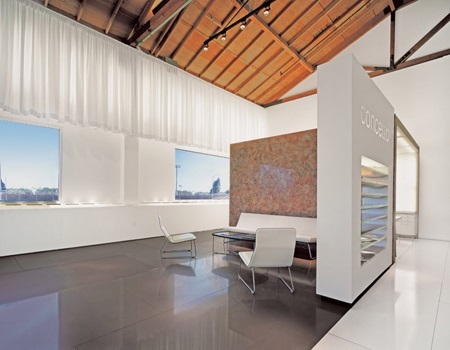 You can store expensive jewelry, family heirlooms and important documents with added security and minimal cost. Create a Hidden Playroom — Remember how fun it was to build pillow forts and other hideaways when you were a kid? Why not make the area underneath the stairs a secret room for the kids to store their toys and play in? Design a Secret Passageway — The hidden passage has been a trope in mystery movies for decades. It’s a more involved project, but it can provide an escape route and exciting feature to your home. You are only limited by your imagination on where the secret passage takes you. Build a Safe Room — While hidden playrooms and secret passageways are fun, sometimes private areas are created for peace of mind. Safe or “panic” rooms are popular among the rich and famous and can be as simple or elaborate as desired. Could you and your household make good use of a secret space? Consider adding a layer of security to your valuables or creating a private hideaway while making your home more unique and interesting. Every homeowner’s worst nightmare is coming home to an open door and a ransacked house. While burglars are more likely to break in when no one’s home, they’re less inclined to do so if someone is watching. Give yourself an extra set of eyes and greater peace of mind with the home security options below. Cameras — Over the last 10 years, security cameras have become cheaper, smaller and easier to install. Doorbell cameras allow the homeowner to see anyone at their front door, and studies have shown they can reduce burglaries. Lighting — Perhaps the simplest and least expensive way to make your home more secure is with lighting. Bright lights tend to keep burglars at bay, but a light that never goes out, or one that you can set your watch to, isn’t as effective. Lights with motion sensors, variable timers or remote access are better investments. Smart Locks — Deadbolts are great, but a smart lock will give a burglar extra pause. From the simplest type that allows you to lock and unlock your door via smartphone to models with integrated cameras, smart locks give you greater control over home security. Wireless Security Systems — Alarm systems provide a more holistic approach to home security. But where old-school alarm systems were expensive due to the need for professional wiring, the wireless boom has brought prices down and made it much easier to take a do-it-yourself approach. In fact, while many wireless security systems come with a monthly monitoring service, others allow the homeowner to do their own home monitoring. Once the leaves start falling and there’s a chill in the air, many homeowners think the time for household chores is done. However, there are still a few things to mark off your winter home maintenance checklist before calling it a season. Maintain HVAC Systems — Make sure your heating system is running properly before the temperatures start to drop. If you haven’t already, schedule routine professional maintenance and change the air filter. This is also a good time to give the AC one final cleaning before shutting it down for the season. 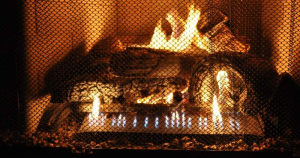 Clean the Fireplace and Chimney — Fireplace and chimney maintenance chores are often neglected, but they are necessary. Clean out old ashes and make sure the flue is open before use. Call a chimney sweep to remove creosote buildup; too much is a fire hazard. Seal Leaks — Not only can poorly sealed windows or vents create a drafty house and increase your electric bill, but those leaks can also let in insects and rodents. Check the windows for air leaks and seal them up with caulk. Walk the perimeter of the house and make sure air vents are properly maintained and there are no gaps in the siding. Take Care of Yard Work — Trimming trees in the fall may be tempting, but don’t do it. Pruning stimulates new growth in most plants and, if done in fall, that new growth will die at the first freeze. There is still plenty of yard maintenance to do, however, such as raking and composting leaves. Protect Pipes — A burst pipe is every homeowner’s nightmare, but you can reduce the risk by following a few simple guidelines, especially if temperatures dip below 20 degrees. Start by wrapping pipes and covering outside faucets. How to choose a Remodeling Contractor? 1. Referrals– Before hiring anyone for the job make sure the person has a good reputation in the market and is a thorough professional, for this word of mouth is the best way to find the perfect man for the job. Ask relatives, friends, and neighbors whom they’ve had good experiences with. And ask what made it a positive experience, how the contractor handled problems and whether he or she would use the same contractor again. This can prove quite beneficial for you in the long run. 2. Credentials– Before you select anyone for the job make sure you are well aware of the person’s professional behavior and documents. make sure he has all the documents needed. Also Find out whether he or she holds all the required licenses from state and local municipalities, along with designations from any professional associations. once all your research is done only then go ahead with the contractor. 3. Interview– Before you zero in on any particular candidate make sure you interview them and check their communication skills and ask them about their previous projects and how well they executed them. Make sure the communication is both ways. Make sure you ask the following questions: How long have you been working locally? Can you itemize your bid? Is this an estimate or a fixed price? What are your concerns about my project?Once you are satisfied with his answers only then hire the person. 4. References- Before you select anyone to make sure you have a detailed look at their previous work and ask them about their problems while executing them and how they handled them. Remember that when you’re hiring a contractor, you are buying a service and not a product. Quality of service will determine the quality of the finished project. A permanent contact point including a mailing address, e-mail address, personal phone, cell phone, fax and voicemail, Insurance that will protect you from liability, any professional designations or membership in any trade organizations. What style of home best captures your personality? Though we may not live in our ideal space, there are renovations, upgrades and small touches that can help us achieve the look we love. Here are four top American home styles as well as tips for incorporating their key characteristics into your home. As the name implies, this cozy bungalow style focuses on craftsmanship. Inside, many feature an open floor plan with boxed beams, built-in bookcases and columns, while the exterior often includes a spacious front porch, wooden corbels and double-hung windows. Want to add craftsman-like touches to your house? Wood accents and natural light dominate. 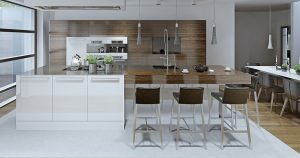 Stain kitchen cabinets and hardwood floors a medium tone to mimic the oak often seen in these homes, and update a solid front door to a partially paneled door. A Victorian home actually refers to a style born during the reign of Queen Victoria (1837–1901). They combine elements of Gothic architecture with French, Italian, and Tudor details. Victorian homes feature wood or stone exteriors and typically have two to three stories. Victorian homes are usually asymmetrical, featuring ornate trim, scalloped shingles, and steep rooflines. For many, iconic architect Frank Lloyd Wright embodies this global movement that began decades ago in the Midwest. Midcentury homes generally possess flat roofs, a central fireplace and wide open floor plans. To incorporate touches of the post-war design in your home, consider adding vertical exterior siding, an expansive wall of glass and a nature-inspired color palette. Do you prefer a rustic, lived-in aesthetic? This trendy style calls for exteriors with crisp white siding, metal roofs and wraparound porches. Along with lightly stained hardwoods, shiplap and rugged beams, farmhouse interiors may feature sliding barn-style doors, open cabinetry and a deep, rectangular kitchen sink. Spanish Colonial Revival is an expression of the architecture brought with the Spanish when they explored the Americas. Spanish homes feature grandiose arches, vibrant tiles, and rustic ceilings. Spanish floor plans are designed for entertaining, both indoors and out, with great gathering rooms and extensive patios. 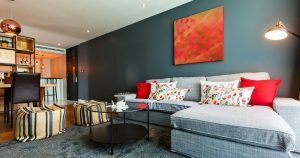 Whether you’re starting small while you save up for a larger renovation or just want to make a few quick changes before putting your house on the market, there are appealing home improvements that don’t break the bank. Here are five ways you can take your home’s appearance up a notch. Paint: An inexpensive can of paint can work wonders around the house. Select a hue to brighten up the front door, freshen up a dull room or turn a particular wall into a standout design element. You can even breathe new life into your kitchen without shelling out the cash for a pricey remodel by repainting the cabinets. Lighting: Replacing a light fixture with a do-it-yourself alternative can instantly change the character of a room. While you’re at it, swap out the covers on electrical outlets and switch plates with new ones that match the decor. Kitchen and bath updates: Installing new sink faucets and choosing coordinating cabinet hardware can modernize the look of bathrooms and kitchens. Window treatments: Spruce up a room and reduce heat loss or gain in your home by replacing outdated mini blinds and drapery with curtains or shades that complement the decor and color palette. Efficiency upgrades: Many of today’s homeowners are opting for smart thermostats over traditional manual models and trading incandescent light bulbs with LEDs. Both of these changes can also help bring utility costs down. Do you and the other adults in your home know where the various utility shut-offs are located? Identifying when, why and how to turn off services like electricity, gas and water can keep you safe and reduce damage should a dangerous situation arise. Whether you are installing a new dimmer switch or have an emergency, you’ll need to access the circuit breaker or fuse box. Need to turn off the power entirely? Flip the main circuit breaker. If you’re only looking to cut power or make repairs to a particular appliance or section of your home, shut off the corresponding branch circuit breaker. Older homes may have fuse boxes instead of circuit breakers. If that’s the case, remove the appropriate fuse before making a small repair or use the main disconnect switch to disable power to the entire house. 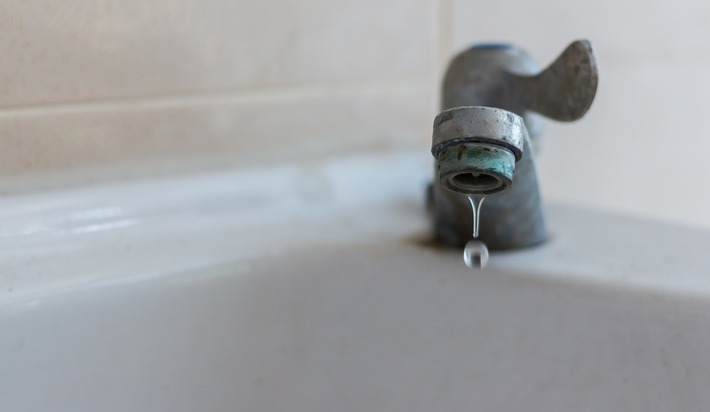 If you’re fixing a leaky faucet or toilet, you can usually turn off the water at the source; just look for the valve behind or below the fixture. If it’s a larger emergency like a broken pipe, head to the main indoor shut-off valve. Look in the basement or utility area or around the inside perimeter of your home, and turn the valve handle clockwise to stop the flow. Your last option is the water company’s shut-off, which is outdoors by the meter and often housed beneath a steel or iron lid. Many valves require a special tool and may be better left to a professional. Turning off the gas supply to your home comes with more risk than other utilities. For that reason, experts recommend only turning off the gas at the outdoor meter if you know where the leak is and that it hasn’t been leaking for long. If you’re unsure, leave the building immediately and call the fire department or gas company for help. Would you enjoy the outdoors a little more if you could minimize your time in the sun? Planting shade trees is one option, but that fix can take a while. For an immediate solution, check out these other ways to add shade to your outdoor space. 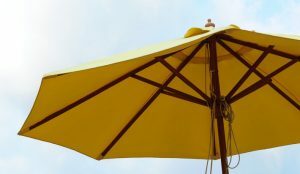 Umbrellas: Looking for a simple and inexpensive overhead cover? Add an umbrella to an existing table or buy a freestanding option that you can easily move to other spots as needed. Curtains and blinds: From hanging fabric to bamboo blinds, these alternatives can provide instant respite from the sun when placed around a patio or pergola. Cheaper than permanent structures, both come in a variety of shapes and colors, letting you personalize them and find the look you’re after. Shade sails, awnings and canopies: Sturdy shade sails, heavy-duty awnings and stand-alone canopies offer similar benefits but with longer wear. If you’re specifically looking to reduce the amount of sun coming in your windows, awnings may be the answer. Check with your HOA or local government before investing in these options. Trellises and arbors: Let nature provide shade while adding more green to your yard with a trellis or arbor. Both perform the same function, allowing climbing plants to grow on the latticework. A local nursery can help you identify the best plants for the job. Pergolas: Whether freestanding or attached to a home, pergolas feature a full roof supported by columns and result in a nice amount of shade. They’re also more permanent than the above solutions and can be built from a range of materials. Enclosed patios or roof extensions: If you’d like guaranteed, year-round shade, consider extending your home’s roof or enclosing your patio. But keep in mind that both projects will likely need building permits. One of the hottest trends in homebuilding is the seamless blending of indoor and outdoor spaces. A natural extension of the open floor plan, this design greatly increases your room for daily living and entertaining. So how do you make it work in your home? See the tips for creating indoor-outdoor flow below. Too often, doors to the outside are small or inconveniently placed. And when the interior floor doesn’t line up with the deck or ground, walking from one side to the other can be awkward and potentially unsafe. The solution? Level the flooring to smooth the transition, and swap your traditional door for large accordion or pocket doors to widen the entry. Achieving symmetry between the two areas can help them look and feel more connected. Match furniture while still giving each space its own distinct look, and incorporate flooring that’s appropriate for both indoor and outdoor use. Lastly, bring some of the same colors and materials from your indoor living area to the outside with pillows, cushions or rugs. Make the most of your transitional layout by adding fixtures that will make it comfortable in every season. Consider overhead fans, patio heaters, a fire pit and your numerous options for lighting. Remember: The more versatile the outdoor space, the more often it can be used. By incorporating this design into your home, your space for day-to-day living and entertaining opens up considerably. Which upgrades have the best ROI? 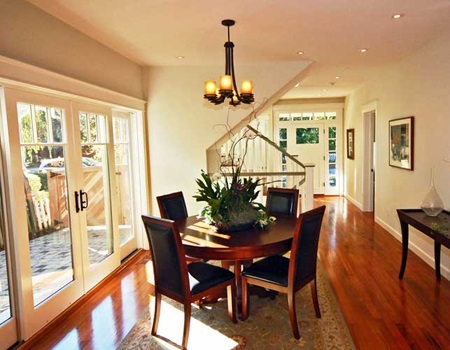 Ideally, home improvement projects make your home look nicer and add to its overall value. But not all projects are created equal. Before you start making updates, consider the value added for each and prioritize the ones that will give you the biggest return when it comes time to sell. Recent and long-term trends indicate cosmetic changes to the exterior of the house result in greater return on investment (ROI) than interior updates. 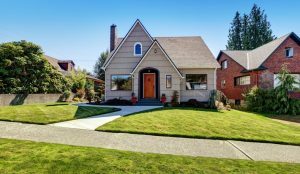 These curb appeal projects range from the simple, such as replacing a front door, to the more complex, like updating the siding or the windows. Exterior upgrades can be particularly important if you intend to sell your home in the near future. The only project that returns a higher amount than its cost is attic insulation. 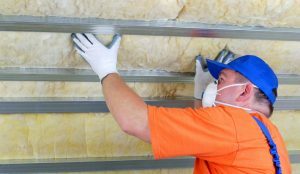 Putting fiberglass insulation in the attic offers an ROI of 107.7 percent. 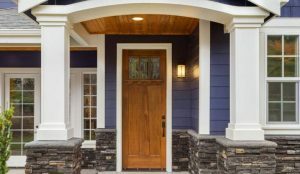 Replacing an entryway with a steel door comes in next with an ROI of 90.7 percent. And at 89.4 percent, the third highest ROI project is manufactured stone veneer. If you don’t plan on leaving your home anytime soon but still want to refresh some areas, keep an eye on trends. Avoid anything that could lose its appeal next year. Instead, consider classic updates with a modern feel. Many consider subway tiles, for example, to be an enduring style choice. Marble kitchen countertops may look great today, but wood may be the hot new thing tomorrow. According to a Harvard Joint Center for Housing Studies report, home remodel spending is expected to increase an average of 2 percent each year through 2025. Improvements focused on environmental sustainability, energy efficiency and home automation are likely to see growth. Updating the kitchen, finishing out the basement or redoing a bathroom can be an exciting time for a homeowner. 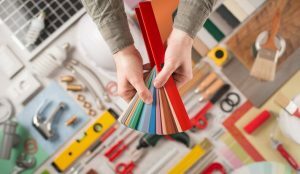 While it may not be as interesting as selecting colors or materials, reviewing and possibly adjusting your insurance policy should be at the top of your list of concerns when making home upgrades. Some renovations can render a policy void if you don’t inform your insurer, so make sure your insurance provider is involved early in the process. Often an agent can make recommendations that can save you money in the long run. Projects such as replacing the electrical and plumbing systems or having a professional install storm shutters and doors could lower your premiums. In addition to creating new value in your home, any significant increase in square footage, such as a new bathroom or bedroom, needs to be accounted for in your policy. You should also include any major appliances you buy, such as a big-screen TV, refrigerator, oven or dishwasher in your insurance plan. If you are vacating your home during the renovations, discuss the need for a builder’s risk policy or renter’s insurance with your agent. And keep in mind that some upgrades may increase your liability. Swimming pools are one such example that require additional coverage. Did you ever long to live in the improbably large New York apartment on “Friends”? How about the funky 1970s split-level from “The Brady Bunch”? Whether they exist on a set or in real life, you can add elements of these iconic designs to your own home. Colorful and Eclectic — The “Friends” apartment in Greenwich Village is characterized by lots of colors and a mix of styles that somehow all worked. If you want a lively setting like this but you’re not ready to paint your walls purple, try adding multicolored pillows or throws. And if you have closed cabinets, consider removing the doors or replacing them with open shelving. ’70s Nostalgia — If you’re more interested in a retro look, add deep orange, avocado green and dark wood to your interior to mimic the color scheme of “The Brady Bunch” house. You might also consider rounded velvet chairs and sofas in mustard, navy or deep shades of red. Quirky and Unique — Add a little “Addams Family” flair to your home with faux taxidermy. Using textiles, ceramic, paper or other uncommon materials, this modern take on the original is both animal-friendly and creative. You could also incorporate faux fur accents, such as a rug, throw or pillow. Conversation Pit — Don Draper’s Upper East Side home in “Mad Men” is perfect for those who like to entertain guests. With white carpeting and various seating arrangements, his spacious sunken living room encourages social interaction and leisure. Do you prefer a more modern or conventional look for your home? Hand-drawn floor plans of your favorite TV show home can pay tribute while serving as a one-of-a-kind piece of wall art. You may be familiar with the term “the internet of things,” which refers to everyday objects connecting with each other and your smartphone. This concept and other advanced technologies are moving into the kitchen. Here’s what the future looks like for food storage, prep and cooking. Expect to see sensors in refrigerators that connect with your smartphone to let you know when your food is about to expire. You’ll also be notified when you’re running low on milk, eggs or other essentials. Ultraviolet light in your fridge will sterilize food and keep it from spoiling, and ovens will alert you when you’re about to burn the cookies. Some manufacturers are also working to synchronize ovens with microwaves so main dishes and sides are perfectly cooked and ready at the same time. You can currently buy pans that monitor the temperature of the food you’re cooking, and induction cooktops that only heat the pan and not the rest of the burner are in the works. Cooking surfaces, counters and sinks will soon adjust in height to accommodate individual users, which is particularly useful for children and those with disabilities. Data from fitness-tracking devices will be used by integrated systems to give meal recommendations, such as what to eat after an intense workout. The kitchens of tomorrow will hopefully help eliminate waste, save us money, simplify cooking and make our lives easier. And don’t be surprised if you start hearing about 3-D food printing in the near future. It’s already here. 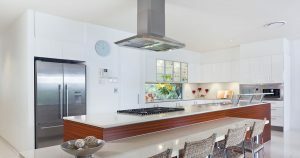 The kitchen is often considered the most important room in the home, especially around the holidays. It’s where the family meets, eats and even entertains. But when your kitchen counters are covered with appliances, spices and utensils, working or entertaining comfortably can be a tall order. Use these five ideas to better organize this essential space. 1. Creative Cabinetry — Underutilized spaces, such as counter ends and corners, are ideal for adding storage. Everyone knows about Lazy Susans, but what about corner or curved drawers? 2. Spice Storage — Whether you show them off or tuck them away in a drawer, there are better ways to store spices than sitting them on the kitchen counter. Stick them to the refrigerator using magnets or make your own spice rack out of a wooden pallet. 3. Wall Hangings — While many households limit pegboard use to the garage, Julia Child, the undisputed queen of the kitchen, used them for storing cooking utensils. Pegboards have the advantage of being inexpensive as well as trendy. 4. Knife Placement — The traditional wooden block keeps your knives contained, but it also takes up valuable counter space. Consider adding a magnetic strip to hold your knives or installing a slim knife drawer under your cabinets. These days, we’re so caught up in sealing our homes for the sake of energy efficiency, it’s easy to forget that a house needs to breathe. Without proper ventilation, moisture and pollutants, such as mold and mildew, can build up and eventually cause an assortment of problems. The goal of ventilation is to provide a continuous flow of fresh air into your home. This influx also helps push stale, contaminated air out of your living spaces, improving indoor air quality. What happens when ventilation is lacking? When air isn’t allowed to move freely in and out of your home, allergens and other contaminants, such as cooking grease or chemical residue from household cleaners, become trapped. These can negatively affect the respiratory health of your family. The problem becomes even more dangerous during the winter months when heaters and fireplaces are in use. The resulting carbon monoxide can build up quickly in an airtight home, and its consumption can be deadly to household occupants who are overexposed. Where should ventilation take place? 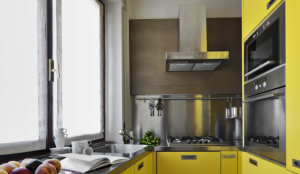 An exhaust fan in the bathroom and a range hood in the kitchen — both vented outdoors, not into the attic — may be enough to minimize moisture buildup and prevent mold and mildew in these rooms. But to ensure proper ventilation throughout the home, you need a whole-house ventilation system. There are four basic types — balanced, exhaust, supply and energy recovery — and they all work to improve the air quality in every area of the house. Are the shingles on your roof curling up? Are you finding grit beneath the downspouts? These two signs indicate a worn-out roof, particularly if it’s 15 years old or more. 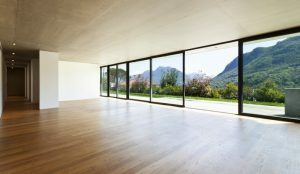 Before you replace it with a new version of the same material, consider other options that may be better suited to your home. Wood Shingles — Many homeowners love the weathered look that wood shingles provide, plus wood can offer insulation benefits to the attic space below. However, wood roofs have a shorter life span than some other options, such as metal, and they require occasional maintenance to avoid mold, rot and insect damage. Clay or Slate Tiles — A terra-cotta or gray slate roof can update the look of your home’s exterior. These materials also age well and can last for decades. 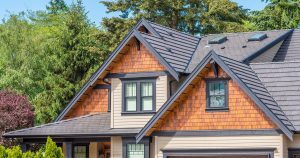 But the upfront cost of a tile roof makes it one of the more expensive options, and its weight — usually between 6 and 18 pounds per square foot — often requires extra support. Metal Strips — From galvanized steel to aluminum or copper, metal roofs usually outlast a traditional shingle roof by at least a couple of decades. Cost can be a limiting factor, and some may not appreciate the noisy nature of the rain on a metal roof. Synthetic Replicas — Want the look of a gray slate roof but flinch at the cost? 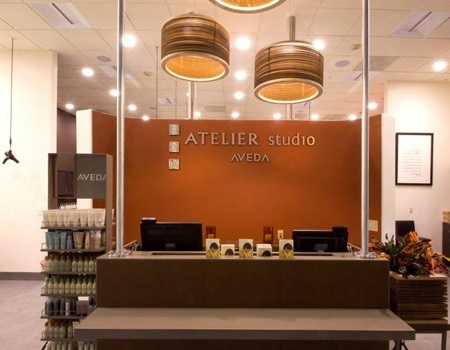 Many synthetic products can mimic that high-end look you prefer without breaking your budget, though the life span may not be as long as the real thing. Is one worse than the other? The simple answer is yes. Vertical cracks are usually the direct result of foundation settling, and these are the more common of foundation issues. Horizontal cracks are generally caused by soil pressure and are normally worse than vertical cracks. Identifying vertical cracks (caused by settling), early on, may often be repaired quickly and effectively before they turn into bigger issues and permanent structural damage. Horizontal cracks will generally move along a wall, to the connecting wall, compromising a wide span of your foundations area of support. The horizontal cracks can be the direct result of poor drainage and soil (or hydrostatic) pressure. These cracks are generally more serious in nature and require professional and immediate inspection and repair. At the first sign of foundation cracks, uneven floors, and bowing basement walls, the problems should be addressed sooner rather than later. Over time, if left alone, these small signs of foundation problems can morph into much bigger issues. The experts of Sigura Construction can quickly identify what the problems are and provide a customized solution for immediate structural repair.